I have a no-start; no com. at data link; replaced cam and crank sensor; I have good ground; 5v ref. Is 5.2 volts; all fuses and replays are working; I only have 1 power source at transmission relay (pin 30), I checked for second voltage supply to relay with key on and cranking engine but no second voltage supply to relay. 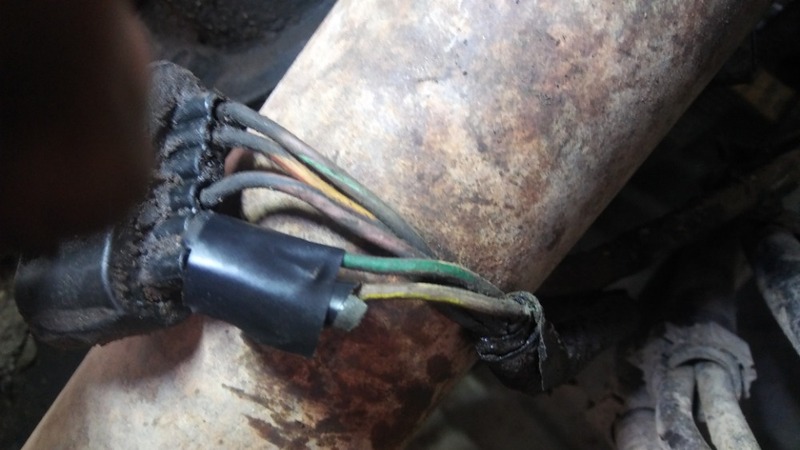 I did find transmission range sensor (park/neutral) bare wire rapped are another bare wire. Is 5v ref. Ok at 5.2 volts? You may have a bad ground or an open circuit if your fuse that controls the PCM/ECM is not blown. I would check for blown fuses first since that's the easiest thing to notice though I don't think that is going to be your problem. Being that you have an intermittent crank/no crank... the PCM shouldn't have anything to do with that. That being said, that would be my starting point for diagnosing the problem. Check your grounds at the fuse box. Maybe swap the relay even though you checked it and also check the voltage in the relay sockets. Then focus on the starter circuit. Check for power on fuse #14. Focus your attention between the ignition switch and the starter motor. I wouldn't go any further until you are getting crank every time your turn your key. Last edit: 11 Apr 2019 12:43 by John Curtis. As you may know, If the pcm does not receive the signal from the transmission range sensor, it will not ground the starter relay. Did you fix the bare wire issue? If the transmission range sensor sends a signal to pick would that be sent through the brown/yellow wire? Ernrod wrote: If the transmission range sensor sends a signal to pick would that be sent through the brown/yellow wire? Yes, the br/yel wire is the signal wire. Do you have 2 power at the starter relay with key on or cranking? Should I have 2 powers at transmission relay?